Blighted by an eye disease, Joanna Raines undergoes a corneal transplant operation to stop her going blind. The procedure is successful, but in the weeks that follow she begins to see dark coronas surrounding certain people. By turns fearful that something has gone wrong and worried that she's going crazy, Joanna searches for an answer to the phenomena. I hardly believe myself that I finally finished reading this book! At first I thought I will have another problem to finish a horror book like this. Yet, I was glad I read it even with a little tense once in a while. The plot succeed to deliver the excitement of the story to me. I can't say the book sparks the interest in me from the start because I don't really like Joanna at first, or maybe it's just me. I felt sorry how she become further removed from her dear ones.But as the story goes on, the mystery of her new eye really intrigued me. It's like I'm wondering what will happen to her next, what she would see and what she should do and all. It scares hell out of me to read how the people were killed, a man lost an arm, etc. Most of the scenes took place at the hospital which really a perfect place, as like puzzle with so many doors and it's gripping to know what's behind once you open them. Hospitals for me also have grieves, death, hope and 1001 mysteries that we can't never understand, even how can evil spirits took over the hospital? Genius. Unfortunately, the ending is quite desolate for me. It's part twisted but will never end and you will find it the same once you finish reading it. I totally understand the feeling of you would want a closure of story, but this one will quite fail you. 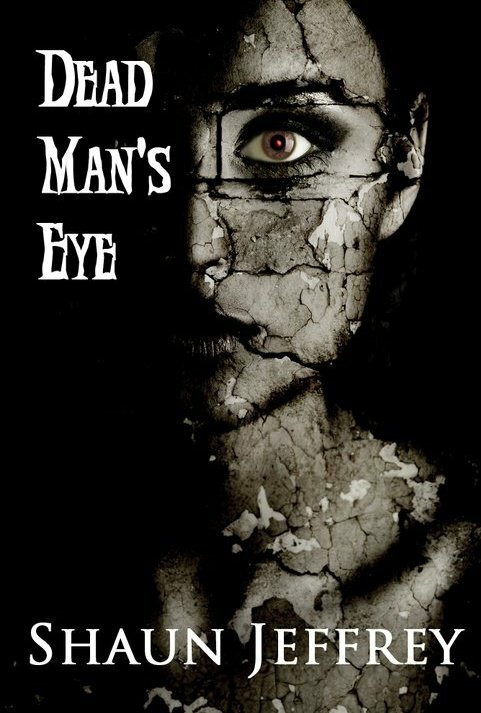 The story is satisfying and have all the elements you want to read in a horror book. But the ending will define how satisfy are you with the book. I love the book, but the ending really made me depressed, with a claim that I don't regret reading it! That being said, the book is actually really well-elaborated and well-crafted. Even though I found the similarity to a movie called "The Eye", this one has it's own difference and speciality progress. I read it in day time for 4 days because even though I like mysteries, it's the horror that stop me to read it at night. I fully recommend this book to horror/paranormal thrillers fans. You'll never regret reading it! Disclaimer: I received a complimentary copy from Author Shaun Jeffrey for an exchange of fair review. Receiving a copy in no way will ever reflected my review and these are my honest review. I never heard of this one before, but it sounds fanastic. A bit scary, but so good. Indeed not to read when it's dark outside. ;) Great review. The premise of the book sounds chilling, and creepy, and I love creepy. Thanks for introducing me to this title. I do love a good horror story, thanks for bringing this one to my attention Darlyn! I like horror stories although I don't read them often. Imagine undergoing an eye transplant and then experiencing something scary like that this after that!